3-roll hydraulic plate bending machine with dual pre-pinch planetary configuration. -Minimum rolling dia. 530 mm with medium thickness. 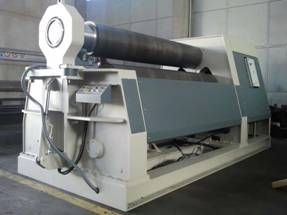 -Hardening treatment of the 3 rolls. -3 rolls driven hydraulic motorized with independent axial gear box on each roll.